Pistachio Hair Studio has been offering Eufora products since day one for a good reason, and just recently some of our stylists got to experience exactly what caught, and held our attention in the first place. The Eufora Global Connection is an annual event, and this year’s was held at the prestigious Hilton Marina San Diego Bay Front. 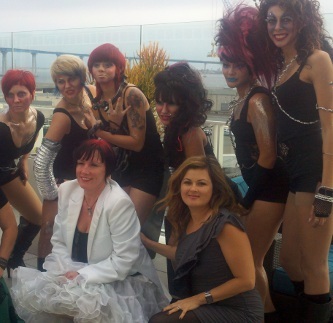 Pistachio proudly participated, along with salon owners and top stylists from around the continent. Our very own Kristyn Otto was a smashing success on the main stage as she modeled some of the hair styles that were being taught and perfected by the Eufora Team. This event was the perfect blend of valuable technical and business education and socialization, wrapped up by a (007 themed!) cocktail party. Kudos to Team Eufora!